Let these guided tools filled with journaling prompts, exercises and ideas support you to write, discover and grow. 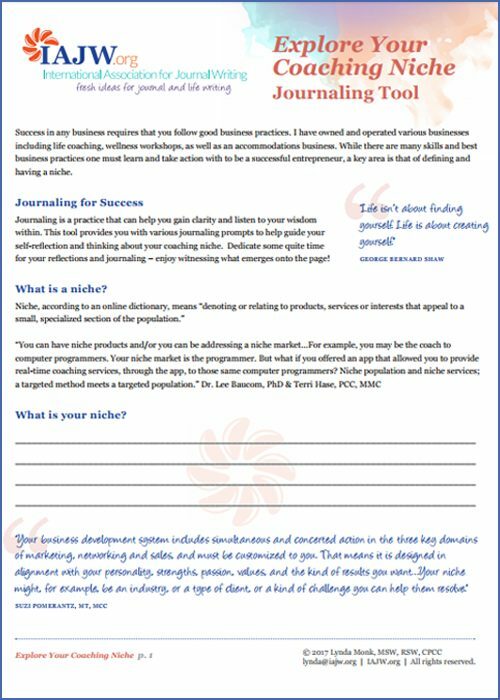 Explore your coaching niche with the help of this informative and guided journaling tool! Designed especially for coaches, and other heart-centered entrepreneurs. Having a clearly defined coaching niche is a key part of success as a coach or other heart-centered entrepreneur. Explore, discover and home in on your niche with the help of this guided journaling tool! Not only will you use journaling in a specific way, you will learn about what a niche is and its key elements to help you grow your business success. 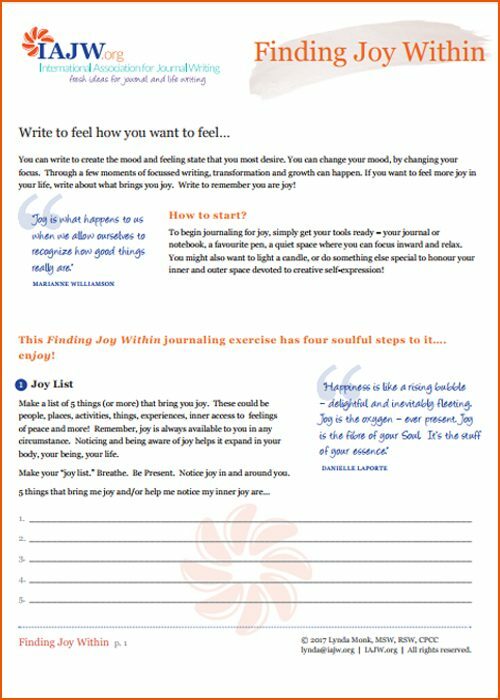 This Finding Joy Within journaling tool help you access greater feelings of joy regardless of your outer circumstances. This Finding Joy Within journaling tool help you access greater feelings of joy regardless of your outer circumstances. This 4 part guided journal writing exercise will help you replenish, energize and connect with increased feelings of joy. 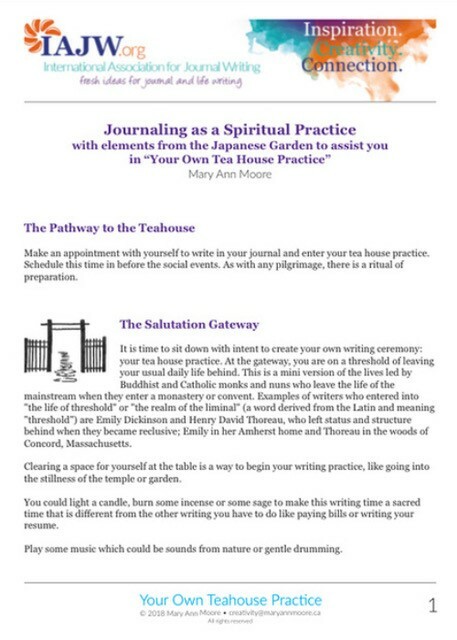 Journaling as a Spiritual Practice​, created by Mary Ann Moore, uses elements from a traditional Japanese Garden to guide and support you in Your Own Tea House Practice. Your Own Tea House Practice uses elements from a traditional Japanese Garden to guide and support you in the creation of your own journaling ritual and ceremony. This inspiring guided journaling tool was created by writer and poet, Mary Ann Moore. Begin Your Own Tea House Practice and delight in this writing ritual. The Write Prompt for Any Occasion is a handbook of 108 inventive and psychologically useful prompts, written by a long-standing expert in the therapeutic writing field, and arranged by the 18 topics most often mentioned in journals. 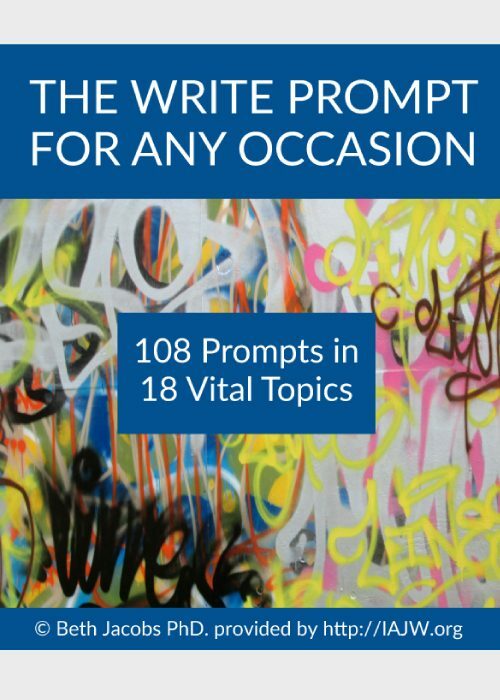 The Write Prompt for Any Occasion is a handbook of 108 inventive and psychologically useful prompts, written by Beth Jacobs, a long-standing expert in the therapeutic writing field, and arranged by the 18 topics most often mentioned in journals.